We are a village cricket club near Oxford with two senior teams in the OCA league and a junior section with U11, U13 and U15 teams. 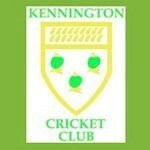 Younger players are welcome and we enter a kwik-cricket competition for them. The junior section has been particularly successful in having boys selected into Oxfordshire County teams.